After more than 13 days in the field, some sort of general tiredness has set in. The weather has been worse in this season than what it usually is like (some people claim a connection with El Nino), we have been getting more blowing snow, more hard wind and fewer sunny days. It has been like "groundhog day" (German: "Und täglich grüßt das Murmeltier" = "Every day the groundhog says hello", which I find more fitting to our situation, when groundhog = snow), you climb out of your tent and you see that more snow has accumulated. Then it is digging before breakfast. Also, we are tired of digging, tired of walking kilometers in the snow to the stations and tired of not being able to shower, sleep in a warm and comfy bed and eat things that have not been dehydrated, canned or frozen. But in any case, we can do ice studies now. And since requires two people to set something up and then to wait for 12 minutes until something needs to be changed, this clearly calls for some free time activities. Ever played Frisbee at 78 degrees South? What else happened in the past days? 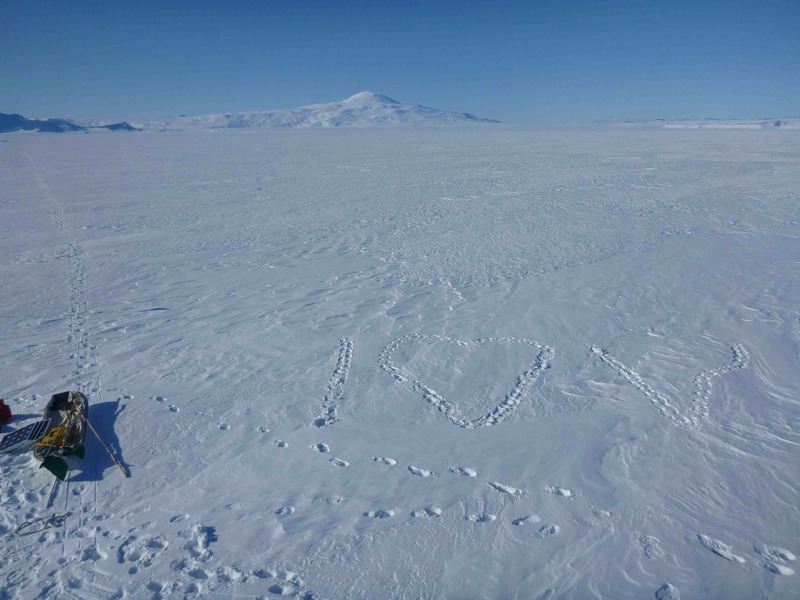 Since Sundays are off in McMurdo, and NSF wants to grant us all our time in the field, we will only fly out on Monday. In order to help us break down camp, two helping hands will come in on Friday. We hope that our camp break-down it will be easier than the one of our friends from C-525. Apparently, they pulled-out in crazy conditions with wind and snow that made their huge tent break. 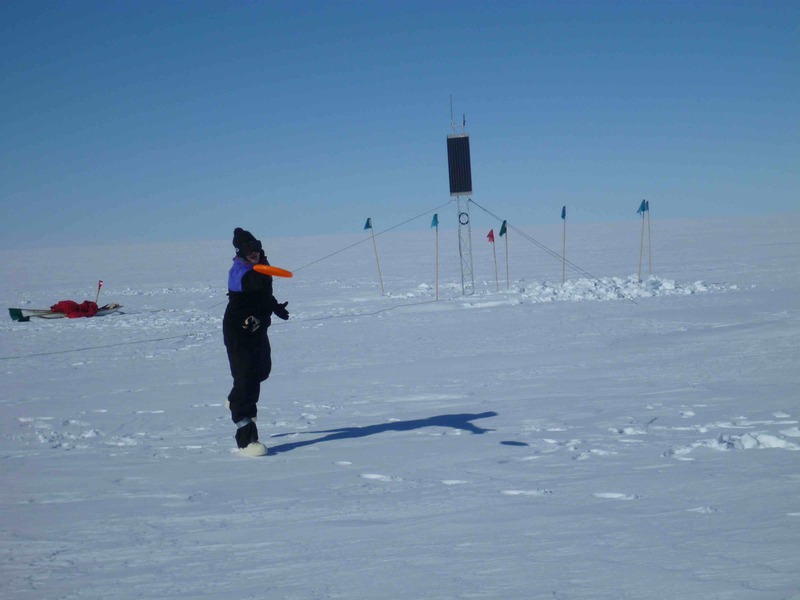 We still have to call them, now that they are back in McMurdo about how things went in detail. But we clearly hope for a better pull-out. And we are hoping for something less monochromatic after we leave. 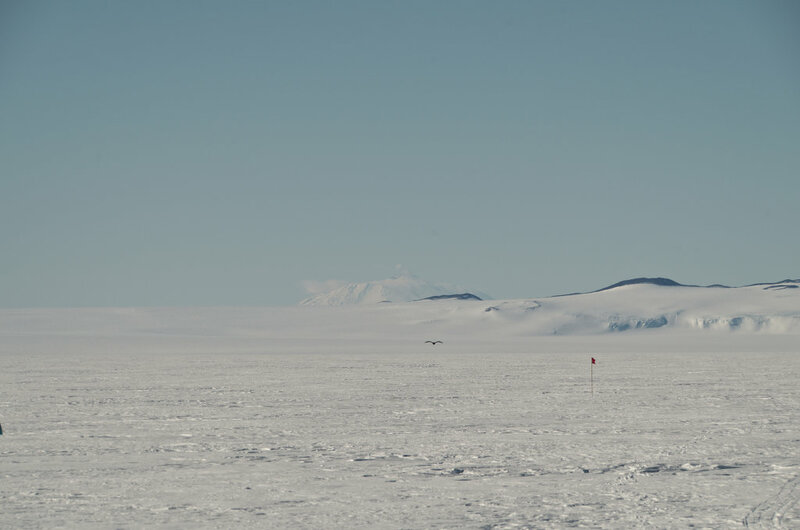 No matter how pretty Antarctica can be, it is always white with maybe a small hint of blue. And the little red dots of the parkas just don't compensate for the missing green, brown, orange and yellow that your eye is so used to. Thankfully, the snow goggles are tinted yellow for our convenience. Talking about convenience. So far, during this trip we have several ideas about how to make money out of this program, which would conveniently open up new funding possibilities. For example, one could open a diet camp, in which you can eat ridiculous amounts of food and still loose weight. Out here, in the cold, lots of calories are needed just to keep your body warm. Also, you don't really need to do sports. Just walking in the deep snow from left to right, let's say from the sleeping tent to the science tent burns more calories than a 1k run at home. And shoveling your tent free of snow every night adds to the weight loss balance. A problem with motivation? Well, you could also not dig out your tent, but then you cannot get in anymore and then you die at night. This is a motivation that no fitness coach could ever provide. And another idea: How about a camp for future managers? Being out here, certainly improves your ability to work in a team -- if you are on your own, you do not get very far. I helps you to work on your frustration tolerance, resilience and self-motivation. It also would be amazingly attractive: a company that sends their leaders on management camp in Antarctica. Anyway, that was just on a side note, should the National Science Foundation ever run out of money ... commercializing research seems to be a thing nowadays. * For all of you, who did not get the first picture. It says "I heart nu". Clearly, the "heart" is the modern short version of love and the Greek letter "nu" is the commonly used signed for neutrino. So, quite clearly: "we love neutrinos".